Welcome to the Fatbike Library! If you’re looking for information about snowbikes and fatbikes, you’ve found the right place. Until now, it’s taken a fair amount of searching via Google, Yahoo, or Bing to find all the info you want about fatbikes, organized in a single place. RideFatbikes has launched (9/26/11) what we believe to be the first ever Fatbike library. Cool Fatbike Websites, Blogs and More! Fatbike Library (FatbikeLibrary.com) is owned/operated by Ride Enterprises, LLC. Copyright 2011. Another great Fatbike friendly bike shop… North Central Cyclery in Dekalb, Illinois. They not only carry Salsa & Surly, they ride them, and even commute on them. Craig, that’s a good site, and I’m aware of it. I’ll add it to the fatbike library at FatbikeLibrary.com, thanks for mentioning it. That said, there are certain items I’ve found are very difficult to find there, or anywhere else. Titanium handlebars, for example. I’d like to know what companies sell them, what fatbike riders think of the ones they’ve tried, and so forth. I’m sure I’m not alone. 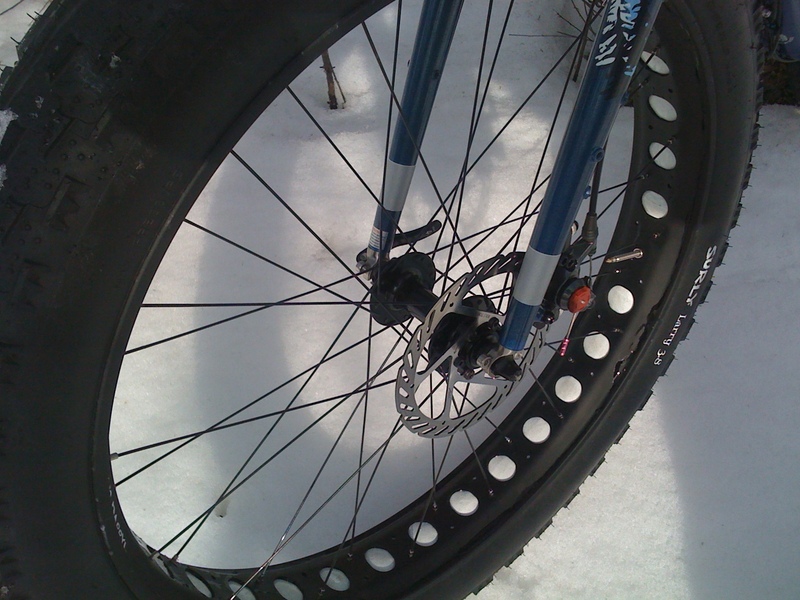 Plus, what if someone is looking for 170mm hubs to run non-offset wheels in a Mukluk, a 9Zero7, a fatback, or the like… I haven’t found many sites that list the brands that make such hubs or even companies that have experience building fatbike wheels. If anyone has some good resources to add, let me know and I’ll post them in the Fatbike Library. Here’s one, Pugsley on Patrol, a Scottish based site about the Surly Pugsley. Fargo has 2 shops that know fatbikes, and they’ve started fatbike group rides as well! Both are great shops, and fat bikes are usually always in stock. GNBC will be hosting a winter bike race on January 29, 2012, which should prove to be another great event. Cheers on the collection so far. Another Fatbike event in Fargo, ND is B-B-BRRR (there’s a Fatbike category). It’s only a 10k and this is only the 2nd year, but we had close to 70 riders last year. It’s a looped course that uses the frozen Red River, multi-use paths, and prairie grass as the trail. The date is January 29th so it conflicts with Arrowhead 135, but if you’re not headed there, come see what Fargo has to offer.